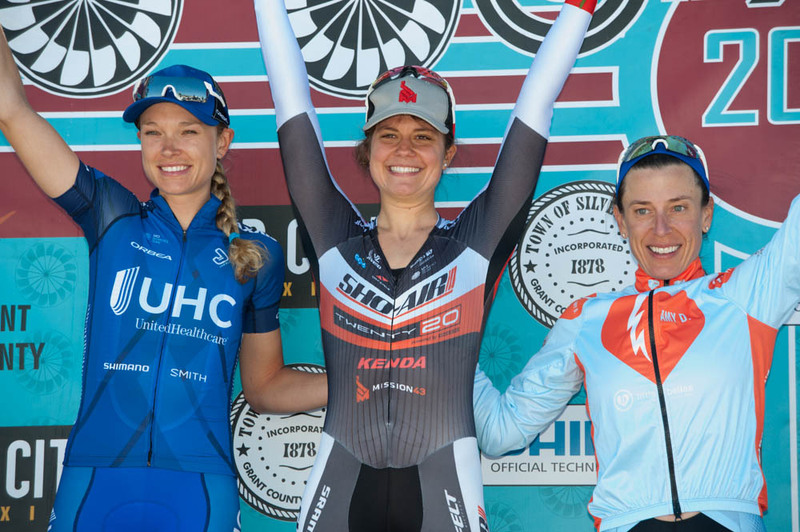 Sho-Air Twenty20’s Leah Thomas took victory in the stage three 16.5 mile (26km) time trial Friday. The Sho-Air Twenty20 rider finished with a time of 38:27, six seconds ahead of race leader Tayler Wiles (UnitedHealthcare Pro Cycling). Julie Emmerman (Amy D Foundation) claimed third place, 56 seconds back. As usual, the out and back Tyrone time trial was met with blustery winds and rolling terrain allowing little to no room for error for the GC contenders, separated by just seconds. Alison Tetrick was one of the early riders to claim the hot seat with a time of 40:52, but the Cylance rider was quickly replaced by Brianna Walle (Tibco) who rode the course 1 minute and 7 seconds faster. Walle’s teammate, Kate Buss did a stellar ride to slot into second, but the results changed as quickly as the last few riders on GC came through the finish. 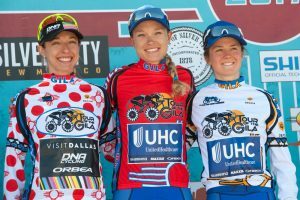 When Thomas completed her ride, her time was good enough to stand against 2015 winner Lauren Stephens, best young rider Ruth Winder and eventually Wiles, who nearly caught her teammate, Katie Hall, at the line. The jersey classifications remain the same going into the downtown Silver City criterium tomorrow. Wiles retains the lead and sprint jersey, Melinda McCutcheon (Visit Dallas DNA) leads the mountains classification and Winder sits comfortably in the lead of the best young rider competition.